The volunteers arrive, ready to plant. May 29, 2018 – The transformation of the H. Smith Richardson Wildlife Preserve into a first-rate coastal habitat for birds and native plants is making great progress. 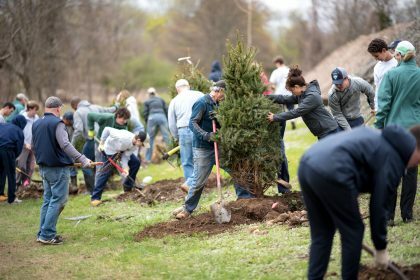 Well over 100 volunteers, led by Connecticut Audubon Board members Charles Stebbins and Jerid O’Connell, planted 450 trees and shrubs at the preserve in late April. 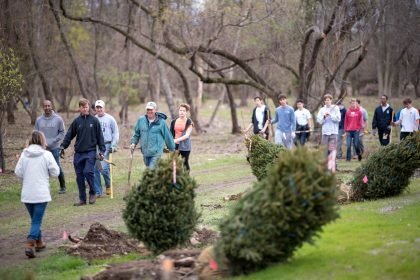 Volunteers included the Staples High School’s Service League of Boys, or SLOBs as they call themselves. They saved the day! 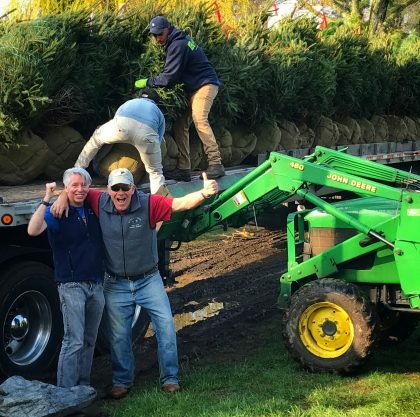 Jerid continued: “Sunday morning comes and 60 SLOBS arrive! I watch as they divided into groups and took charge. 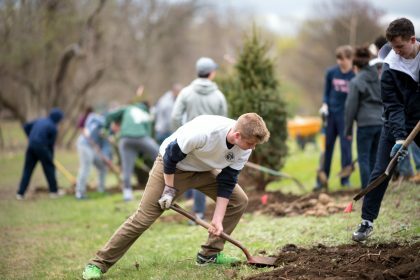 They were planting 20 trees at a time! It was amazing. By 12:30 everything was planted! The work days were just the beginning. 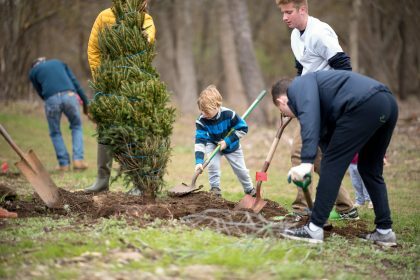 Over the next several years, about 1,200 trees and shrubs chosen for their value to birds and other wildlife will be planted. 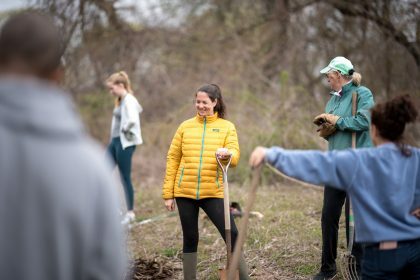 The project also includes creating a two-acre pollinator meadow of native wildflowers. All photos by Scott Kruitbosch, unless otherwise noted. 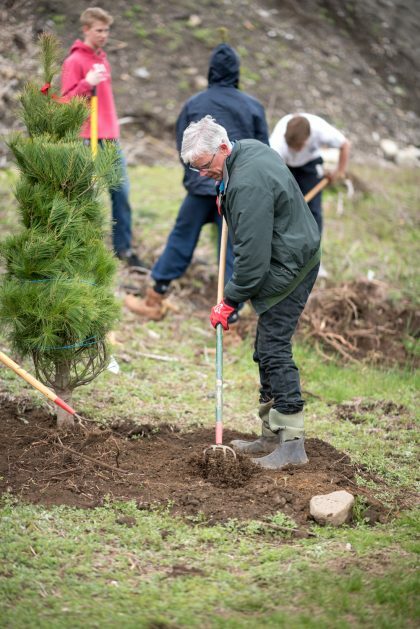 Patrick Comins, Connecticut Audubon’s executive director, helps plant one of the pine trees. Jerid O’Connell, left, and Charles Stebbins, are exultant after a successful two days. Both are members of Connecticut Audubon’s Board of Directors. Photo by Patrick Comins.